Several local GRAFA students have continued their fencing beyond high school and into college. In many cases these students are able to receive competitive fencing scholarships with big name college’s and universities based on the fencing skills they learned at GRAFA. 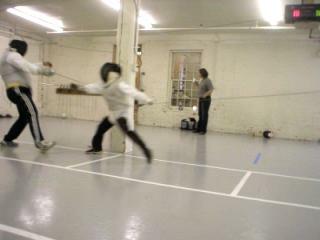 GRAFA is proud to see it’s students continue their fencing as well as their education. Dayana Sarkisova was admitted to Northwestern University under early admission with full fencing scholarship to study Political Science and Business. Dayana fenced to All-America honors during all four of her seasons at Northwestern,2010-13 – highlighted by a trip to the medal round in her freshman season. She is first Northwestern foilist ever to earn first team All-America status. After the graduation, Dayana was hired by ESPN, and currently hold the position as an editor for ESPN Insider, with a focus on college basketball and professional hockey. She also serve as a social media producer for ESPN’s College GameDay Live.